Today, most can’t live without being connected 24h a day. So, they need to charge and recharge their gizmo, even when riding. 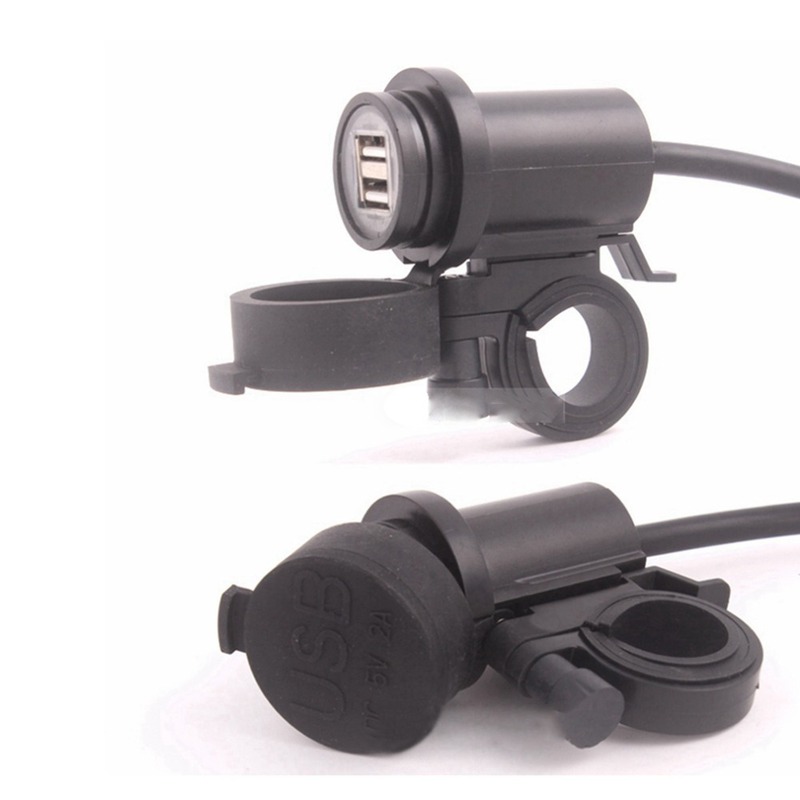 Many will find appealing a dual USB plug charger that they can permanently attach on their bikes. This model easily installer 5V, 2A output port keeps your smart phone, GPS, MP3 or whatever other doo-dad you can’t live without, charged and ready while you’re on the road. The 195cm long wire fits 2cm to 3cm diameter handlebars. It comes with a waterproof cover to keep out the elements and instructions for quick installation.